A collectible cowbell with bright, piercing attack. 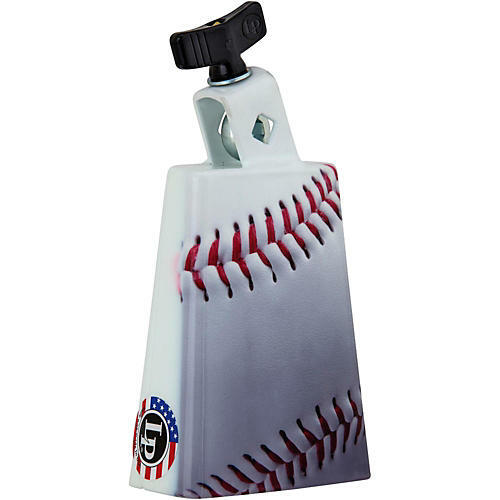 This Collectabell Cowbell from LP features custom baseball graphics and bright sound with a moderate overtone. The 5" high mountable bell offers a powder-coated finish and a slightly rounded playing surface. The LP forged eye-bolt assembly provides a sure grip to any 8" diameter rod, while premium-quality steel made from specially developed tooling ensures long-term durability. Made in the U.S.A.